Patient safety happens to be one of the most crucial aspects of the healthcare sector. It focuses on the significance of preventive measures which must be adopted to evade harm to patients. These lapses may be caused unintentionally due to some uncertainties in healthcare processes resulting in life-threatening consequences. According to the World Health Organization, one in ten patients encounters safety concerns while receiving treatment. There are more than 43 million patient safety incidents globally every year. Errors due to dispensing of wrong medications and drugs worldwide cost approximately USD 42 billion annually! With increased focus on value-based care and patient-centricity, feedback plays a critical role in building successful healthcare engagements. Patient Satisfaction Surveys reveal that, safety and confidentiality of patient information is the topmost concern today. In order to increase awareness about this matter, each year 9th December is celebrated as World Patient Safety Day. 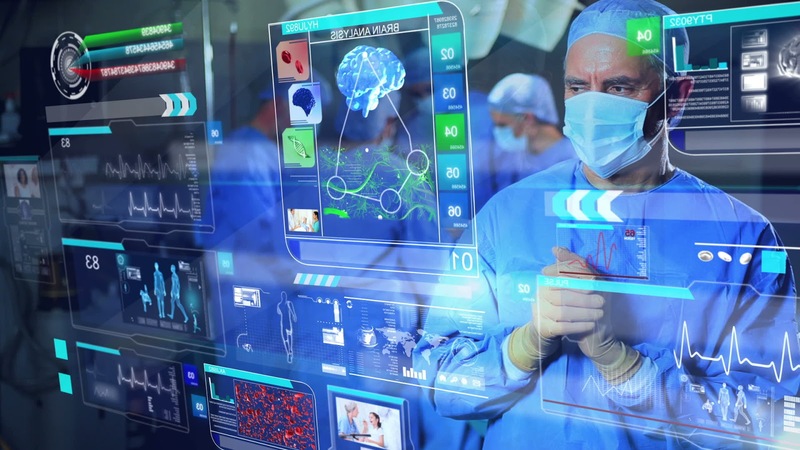 With recent advancements in medical technology, healthcare systems are becoming increasingly complex too. Though most hospitals provide round-the-clock care services, their staff perennially face several challenges in keeping the patients safe. Hence Hospital Quality Management must certainly review and address the underlying systematic issues to overcome it for delivering optimal results. Wrong and erroneous diagnosis - This happens to be a multi-faced problem that is a result of various cognitive or systemic factors or sometimes a combination of both. It is a challenging issue as it often goes unnoticed until the patient is discharged. Miscommunication also causes diagnostic errors. Unsafe usage of opioid medications for treatment – Opioids are medicines given for treating pain. They usually have addictive properties and physiological impact which may result in dangerous side-effects on the patient’s health. Often these drugs are misused in outpatient departments and referrals which may initiate self-medication in patients causing irreversible damage to body organs. Lack of Internal Co-ordination - Failure to communication and lack of internal communication between the staff in hospitals leads to multiple consequences. This includes medication errors, delay in follow-up procedures and diagnostic lapses which deters effective treatment in patient care. Staff induced Workarounds - Sometimes, hospital staff is tempted to circumvent a barrier by deploying their own workarounds between authorized and actual care practices. Though the problem may be temporarily solved, it is likely to go unnoticed and pose unsafe conditions to the patients endangering their lives. Lack of Interoperability in Electronic Health Records (EHR) - Disparate and heterogeneous health systems deter the interoperability of EHRs which negatively impacts patient care. This creates hurdles by not providing a holistic view of the patient’s conditions particularly for medication reconciliation resulting in harmful drug interactions. EHR interoperability also hampers efficient care during emergencies and natural calamities. Mismanagement of Behavioural Health - Acute healthcare calls for sufficient and competent behavioural strategy interventions. Failure to disseminate this can result in episodes of patient self-harming, violence, unauthorised discharges, poor healthcare outcomes and undue interference in treatment. Lack of Emergency Preparedness - There is a rise in natural calamities like hurricanes, forest fires, volcanoes, earthquakes and cyclones and even man-made disasters like terrorism and indiscriminate shootings. Unpreparedness in such situations results in wrong alterations of healthcare operations leading to mass casualties. 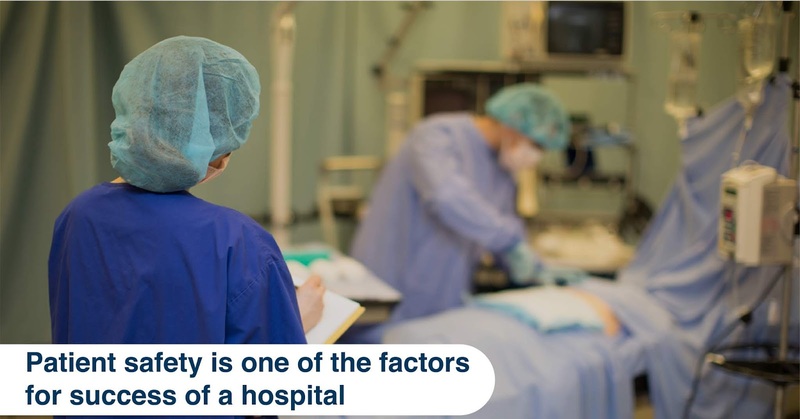 Inadequate Staffing – Lack of licensed and qualified staff increases workloads and negligence thereby causing a rise of patient mortality rates. Drug shortages - Severe shortages of emergency medications delay life-saving procedures leading to fatalities. Lack of Hygiene - Failure in providing hygienic conditions and sterilized medical equipment leads to compromised care and has devastating effects. Healthcare Consulting Firms can help hospitals in overcoming patient safety issues. Their expertise can create robust solutions to strengthen systems and enhance care practices by collaborating with the necessary stakeholders. Digital marketing is spreading its domain everywhere and healthcare is no exception to it. Marketing in the healthcare industry has taken a new digital dimension and healthcare consulting firms have revolutionized patient engagement through social media and websites. The following statistics just prove that healthcare digital marketing has a huge impact on the potential patients and their selection of hospitals. According to a Deloitte survey, 52% of the consumers searched online for treatment options. 1. 19% of the Smartphone users have at least one health app downloaded on their phones. 2. 41% of the respondents agreed that social media would affect their choice of hospitals. A patient's journey in healthcare is totally governed by digital marketing. Let us see how. A patient searches online typically either for treatment of an existing ailment or for awareness about a medical condition. In either case, digital marketing has a powerful role to play. Through SEO (Search Engine Optimization) and through SEM (Search Engine Marketing), hospitals can channelize the traffic to their websites through the use of apt keywords in their websites. Blogs can also be optimized with keywords to divert traffic to hospital websites. Patient engagement strategies can be implemented through social media through relevant content, social media campaigns etc. Social media ads can also create awareness among the audience on healthcare options. The next step in the patient's journey is evaluating the healthcare options, selecting the right one and establishing a contact with the hospital. Here again, digital marketing enters. By offering SMS or call options as CTA, the patient can be made to quickly contact the hospital by visiting the hospital website. A mere visit to the hospital website can be tracked through web analytics and the patient can be followed up. Through Landing page optimization, the patient's details can be collected. Once the patient makes an inquiry online through the website, he has to be engaged and converted into a patient by email marketing and call follow-ups. Features like online scheduling of clinical appointments, timely reminders for check-ups etc, keep the patient engaged. Going a step further, mailing prescriptions and scan reports or reminding patients about medication can be done by email marketing to enhance patient satisfaction. After becoming a patient, the patient's engagement with the hospital should continue. This is ensured by sending thank you emails, asking for feedback, taking satisfaction surveys etc. Updating patient's with thoughtful content on their ailment and treatment can be done by directing them to blogs on the hospital website or through email newsletters. Open chat on websites with physicians for Q & A sessions should also be provided. Acknowledging the patent as a precious customer through regular emails. Enlisting the patients in loyalty programs through emails. Offering special discounts and privileges to existing customers through emails or SMS. Using patients as influencers can also be done through social media. Digital marketing is the best way to retain patients and ensure their complete satisfaction. 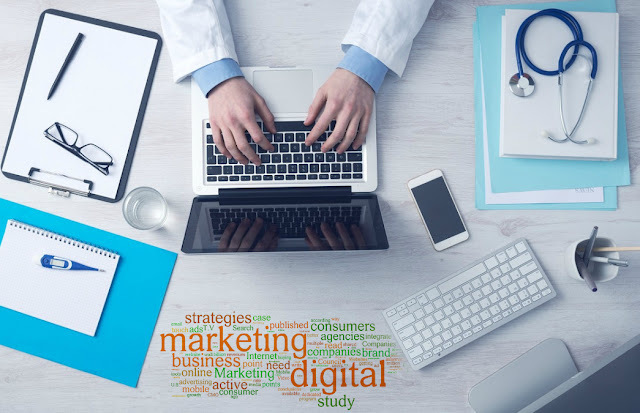 Contact an experienced Healthcare consulting firm to evolve a dynamic digital marketing strategy for your hospital with full success. The management of all sizes of healthcare practices have recognised the prominence of seamless patient flow at the hospital. In fact is the key for success and it has to be done just the right way in order to increase the efficiency and derive best results in terms of ‘Increased Patient Satisfaction’. Gone are the days when hospital used to depend on appointment and waiting-room process. The lives of people have become eventful and individuals expect seeing the doctor or any healthcare provider should not be time consuming. The clinical practices should give greater importance to patient flow even from the initial stages of hospital planning. The patient bottlenecks causes unnecessary delays that take big toll on the overall patient experience. Right from the reception, hospital management should ensure the patients and their assistants feel comfortable and the waiting period should be as less as possible. When they feel cared and recognized by the hospital staff, hospital is gained good respect and the patient experience is just enhanced! However, despite maximum efforts it is not always as easy as it is said. Patient Experience increases over time and healthcare practices can achieve it by constantly evolving and surpassing all the obstacles. 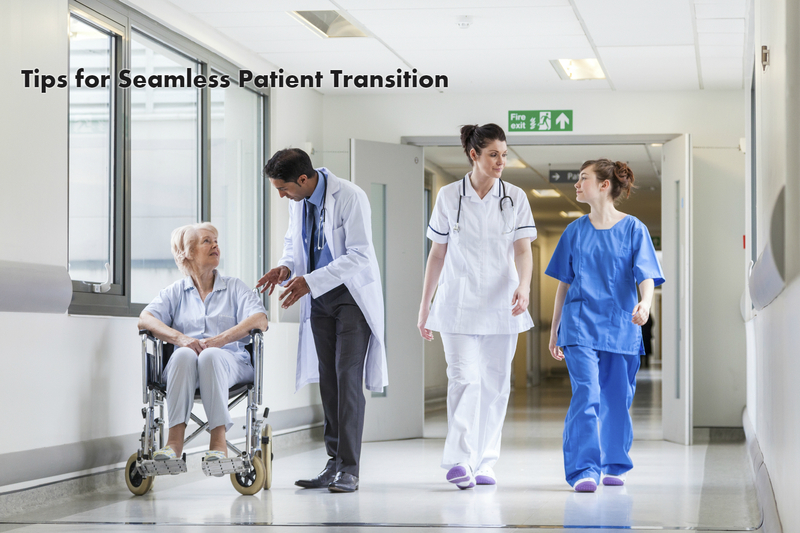 Here are few step that could help you in establishing seamless patient flow. Internal Traffic Flow and Clear Idea of Operation Flow – Every staff member of the hospital, even at the bottom levels should be well aware of the patient flow and they should be able to direct the patients in the right direction. The patient flow stream should be focussed more on the patient convenience that provides better patient experience. Ensure Diagnostic and Consultation Processes that Don’t Overlap – The diagnostic facilities should ensure proximity with proper signboards within the hospital area. Most importantly the diagnostic centres should not cross paths during the checking process. A faster consultation and diagnosis process make the patients to find solution for the ailments or sickness without any further delay. Cover All Patient Touch-Points based on the Patient Health Condition – Hospital management very well know each health condition requires a separate diagnostic pattern. The healthcare provider should be aware and streamline the patient flow in such a way that all the touch-points are covered based on the health condition before moving the patient to a different department. Pulling back a patient for any test or consultation will result in negative patient experience, which the healthcare provider should focus in a meticulous manner. Well Stated Patient Destinations and Flow Chart – It is important to have the infrastructure with clear and understandable signage. A clear blueprint of the hospital infrastructure stating which department located where along with the directions, avoid any sort of confusion within the reach. The waiting lobbies, consultation rooms, restrooms, diagnostic centres, cafeteria, pharmacy and billing section should be rightly placed and managed with clear signage. Parking and Other Hospitality Facilities – For every hospital infrastructure it is important to maintain a free traffic flow. Both emergency and non-emergency vehicles should be aligned appropriately and ensure seamless flow. The emergency vehicles should have easy access to reach the trauma care department and to the other diagnostic facilities. In today’s increased peer competition era among healthcare practices, it is highly important for all healthcare dreamers to ensure proactive support and care while touching all the essential touch points that increase overall patient experience. Healthcare Management forms a critical component of the industry and billions of dollars continues to be invested in it annually. However, in the past, the impact of hospital facility design including its medical equipment and technology was not considered .Of late, the key focus area, is hospital architecture design and planning because it has a profound effect on patient safety and quality of care. There is a need to revamp the fundamental healthcare processes and align it properly with culture and physical surroundings for minimizing errors in health care and addressing serious safety issues. This paves way for an efficient hospital infrastructure planning so that nurses, caregivers and other supporting staff are provided with safe and improved physical environment for enabling safe patient-care. 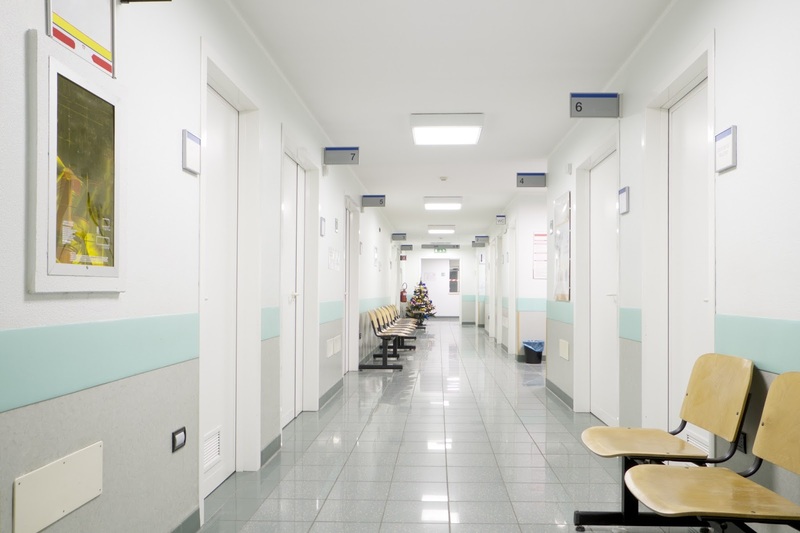 Today, Healthcare Consulting Firms(HCFs) focus on Hospital Facility Planning (HFP) for not merely improving the patient experience but also increasing the efficiency and functionality through lean planning techniques and reducing the operational expenses through efficient buildings. Traditionally, HCFs designed master plans in response to facility constraints that called for lump sum expenditures. So this resulted in investments for new buildings to respond to growth or obsolescence. In more recent years, the analysis of Return on Investment (ROI) has become more prevalent and cost of care is driven by value thereby creating enormous future expectations. HFP must certainly provide a healing and life –affirming environment in hospitals that aids patients to return to healthy lifestyle along with their care takers. The interior architecture and hospital layout provided by the HFP must enunciate a feeling of enriched hospitality and connect to nature and the world beyond. In summary, HFP in future must accommodate higher patient acuity, shorter duration of hospitalization and adequate infrastructure to handle aged patients and staff. There is an ever-rising population of patients that is increasing exponentially as various new diseases manifold themselves. This poses an interesting challenge to Heath Care Providers (HCPs), who not merely have to handle voluminous numbers, but are also forced to contain healthcare costs as related expenses soar. Therefore HCPs are currently on pressure to tackle this concern effectively more than ever and ensure cost-effective delivery of patient care. 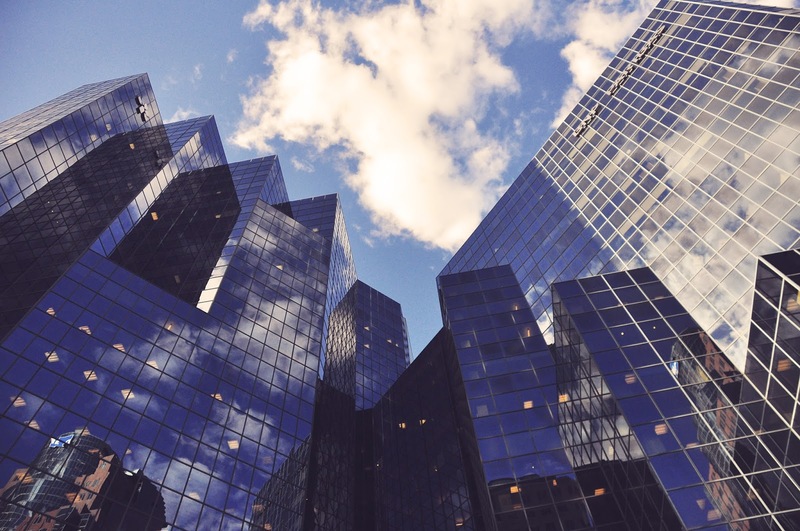 Interestingly, in Healthcare Operations Management (HOM), Overhead Expenses (OHE) attribute to a significant portion of the Total Operating Cost (TOC) and that is rising at an unsustainable rate. Thus, certainly it manifests itself as a viable target for cost reduction. Hospitals which successfully minimize their operating expenses have an immediate competitive advantage over others who don’t capitalise on this. Handling cost reduction is imperative though it may be complex and stressful. Like any other domain, HCPs have certain operating expenses that are inevitable for maintaining continuum of their business. This includes regulatory compliance, governance, documentation of all patient records, billing, medical supplies, energy, rent/property charges, transportation, capital charges, maintenance of hygienic standards, appropriate waste disposal methods, and other non -medical staff expenses. These overhead categories certainly form a substantial portion of total healthcare costs though they may be unavoidable. In order to retain their competitiveness, HCPs have to minimize avoidable overhead costs while simultaneously investing in high-value overhead expenses. It is noteworthy that the share of administrative and overhead costs varies significantly worldwide. • Clear Identification, Categorization and Tracking Mechanisms for all operating expenses - This is crucial for estimating accurately medical versus non-medical overhead expenses. Unless this is ensured, intervention measures deployed for cost reduction will be impeded. Also, making focused investments in overhead expenses for ensuring value-added service becomes intrinsically complex. 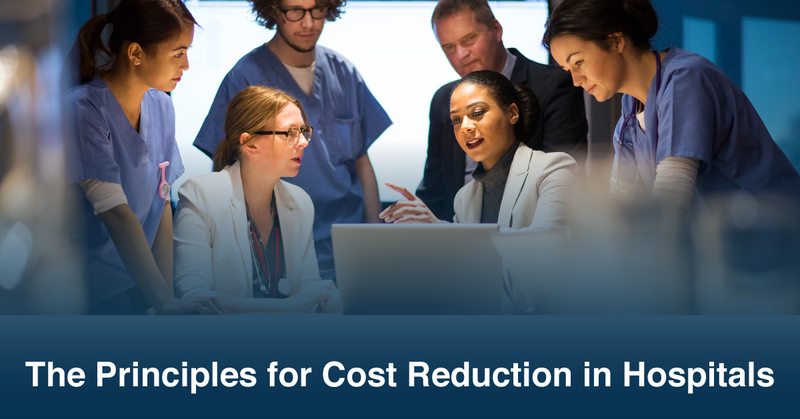 • Incorporating cost reduction ideas in administration: Minimizing operating expenses that don’t contribute to better patient-care though not all overhead costs are financial burdens, administrative expenses should necessarily be reduced as far as possible. This may be achieved by deploying centralization of non-medical functions, outsourcing facilities such as Information Technology, Staffing, Finance and Catering and using automation techniques. • Making better use of Information Technology(IT): Administrative transactions and health IT initiatives should be digitised and integrated so all stakeholders can communicate in real time This along with latest IT methods as Cloud Computing, Telehealth, Telemedicine and systems as Hospital Management Systems(HMS), Patient Management Systems(PMS) enhances care delivery, efficiency and eliminates errors in cumbersome manual operations. • Benchmarking and deploying efficiency practices from other industries: Best practices as good Inventory Management, Waste Management and Just in Time (JIT) techniques used in other service industries as Manufacturing may be utilized in hospitals also. 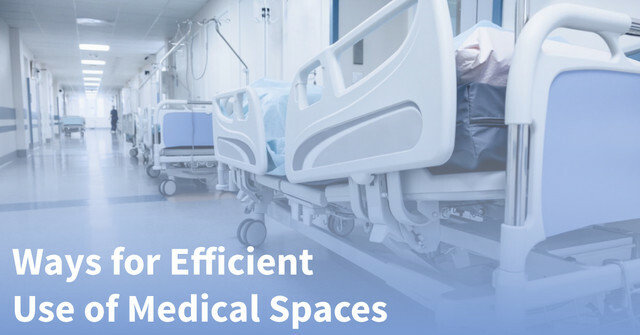 This enhances cost efficiency for managing both overcrowding during peak times and declining ward occupancy rates. • Streamlining operations: This can be achieved by carefully handling required intricacies of healthcare tasks by electronically recording and billing services and standardizing quality/safety initiatives of patient safety for better tracking. • Diminishing redundancies in diagnostic testing: Adopting selective usage of laboratory testing and utilizing diagnostic equipment effectively to eliminate redundancy, lessen data volumes and ensure optimum medical equipment utilization. • 360 degree involvement of concerned staff: Aligning cost reduction strategy with the hospital goal of ‘patient- centricity’, ensuring continuity of preventive healthcare programs and engaging all clinical/administrative personnel to collaborate fully in this endeavour. By deploying smarter healthcare IT, minimizing redundant non-medical expenses and enhancing medical-staff involvement, hospital administrative costs may be reduced significantly without compromising on quality patient-care. Indian Healthcare is experiencing a new opportunity tide and is one of the fastest growing sectors in terms of both revenue and employment. The complete Indian healthcare market is worth approximately US$ 100 billion and is expected to grow to US$ 280 billion by 2020, at a Compound Annual Growth Rate (CAGR) of 22.9 per cent. Out of this, the Healthcare Information Technology (IT) market alone is valued at US$ 1 billion currently and is expected to grow 1.5 times. Healthcare components includes hospitals, clinics, diagnostic centres, medical equipments, clinical trials, outsourcing, telemedicine, medical tourism, health insurance and related areas. The increased growth in this sector may be attributed to its wide spectrum of coverage, expanding services portfolio and increasing expenditure by public as well private players. To cater to this challenging requirement, healthcare consulting services are needed. Healthcare Consulting Service (HCS) can be defined as delivery of (administrative and management) services to the healthcare sector in areas such as finance, accounting, marketing, insurance, billing, coding, regulations and compliance and healthcare standards. HCS providers are continuously revamping existing delivery models to bring it closer to its most important stakeholder -'The Patient'. Each day thousands of patients enter healthcare facilities challenging the smooth flow of the administration .HCS has to manage and integrate clinical, financial and operational information that grows with the practice. Previously, data was organized manually making retrieval time- consuming and less efficient. Today, most professionally run hospitals and clinics now rely on Hospital Information Systems (HIS) that help them manage information. 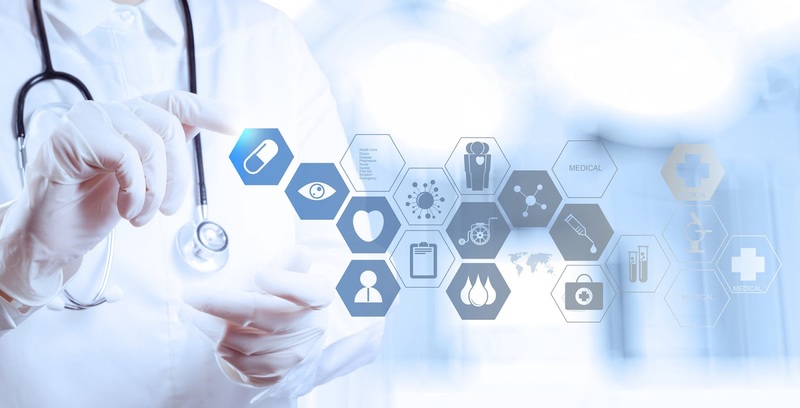 HIS is essentially a computer system that enables seamless flow of information for effective integration of all clinical, financial, operational, regulatory and administrative applications in hospitals. This is done by collating informational needs of various departments. With the focus on healthcare strategy changing from fee-for-volume to fee-for-value, it is crucial to have an efficient and future- proof HIS. In conclusion, an efficient and future-proof Hospital Information System(HIS) should cater to latest technological advancements, have adequate infrastructure and capability to transition from conventional practices and have a low-cost, fool-proof implementation to provide the ‘best of its kind’ patient centric healthcare! How to Prevent Risk in Hospital? As we all know healthcare is indeed very risky. Since it involves catering to the health of an individual, the government imposes stringent regulations which create immense liabilities and risks for the healthcare facility (in case something goes wrong). Therefore every hospital and clinic needs to have a healthcare risk management team to prevent a bad situation while ensuring quality care for patients. 1. Hire Reliable and Efficient Staff – Care givers are the backbone of a healthcare facility and they are responsible for the well-being of your patients. This means as a healthcare provider, you need to conduct proper background checks for all your employees; from attendants to doctors, to make sure that your patients are in safe hands. Although this may seem to be a tedious process as this step goes a long way in developing a secure environment for patients. Hospitals need to develop a strong recruitment policy which makes it crucial to perform employee background checks. 2. Verify Experience, License and Conduct History – Health professionals like therapists, nurses, dieticians and even physicians may get their license cancelled in case of bad conduct with previous organizations. Therefore ensure that your staff and even the vendors are in good terms with the government and have not had any disciplinary actions taken against them in the past. It is pertinent that you have an action plan to remove the employee or take necessary actions for misconduct within your facility. 3. Include Regular Training Programs for Employees – Laws, norms and regulations are constantly updated in healthcare. And, since a hospital has several departments and multiple shifts along with hiring new employees periodically, it is important that you organize regular workshops and training programs for them. Also including an orientation for the new hires will also be very helpful in making them work according to the structure and way of your facility. The training should majorly place importance on preventative measures to help all your employees work uniformly in accordance to your organization’s procedures and policies. Instead of organizing a new workshop for every new employee, you can record these sessions for the reference of your present and future staff and also for those who might have missed on a particular program. Risk management in hospitals help develop the right preventive measures to minimize potential risks. 4. Design Your Unique Set of Policies and Procedures – Every organization needs to have a book of rules so that employees know about your expectations from them. The requirement varies for each facility and you need to devise yours based on your beliefs and aims. It should contain the government policies along with your hospital’s action plan to be followed against those who are being suspected of a malpractice. The malpractices include theft, fraud, misconduct and substance abuse. Each employee should be given a copy of this handbook and you also need to obtain a signed form stating that they have accepted to work for your facility in accordance to the regulations mentioned in the book. 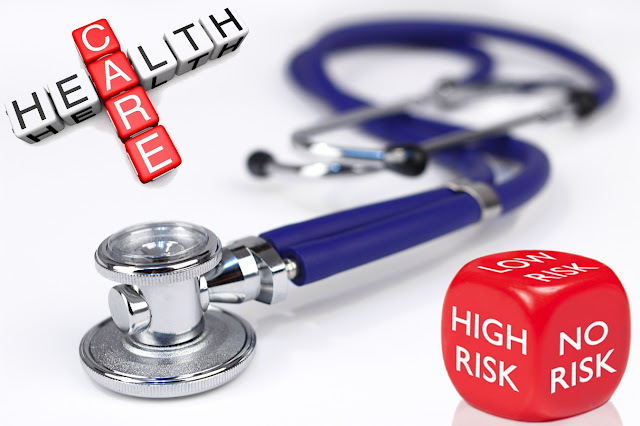 Hiring good healthcare consulting firms is a very efficient way to reduce and manage risks at your healthcare facility. They can develop and implement a foolproof risk management plan that can minimize health risks of your patients, thereby reducing liability and financial risks. 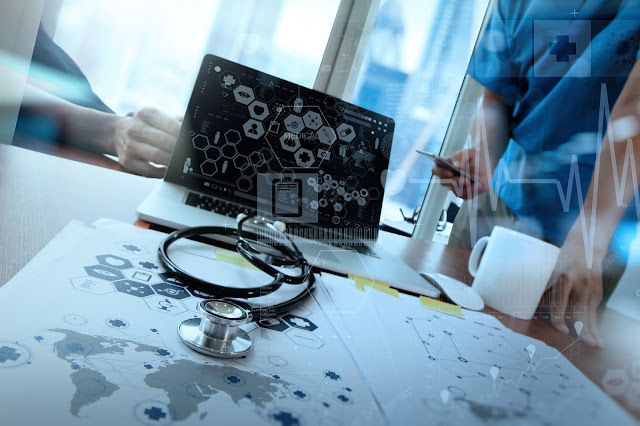 Healthcare has today become more accessible and resourceful for patients all over the world due to the development of communication technology. But along with the advancements, there are also many challenges such as, enhanced healthcare services, more brand options for customers and greater customer demands. From choosing a specialist to choosing a place for their treatment, patients have got a plethora of options at their fingertips. 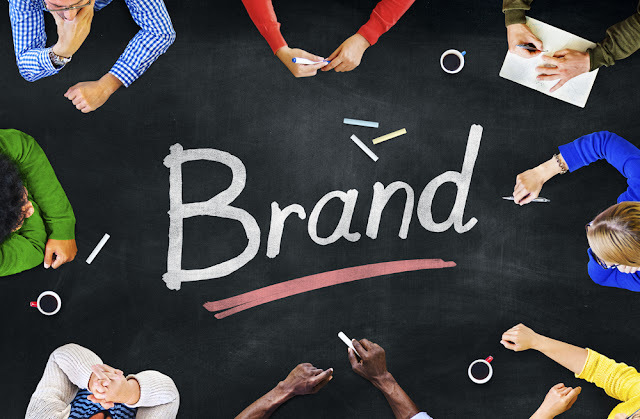 Healthcare branding strategies, effective marketing strategies, website marketing service and brand marketing service are some of the best tools to enhance visibility and reach out to a wider target audience but all of these tools need to point at building a personal connection with patients. Communication strategy should be designed to resonate with kindness, personal care and humanity. An inconsistent branding will affect the trust of the customers and it will also reduce the quality of healthcare services. 1. Brand assessment - Just like any other business, the healthcare too needs to conduct a periodic assessment to understand its current position in the market and how it is being perceived by the public. And once you get the insight you can decide on how much more you would want to upgrade the brand and decide with your marketing team to develop necessary strategies to attain the goal. 2. Strengthen the brand experience – In order to strengthen the brand experience there has to be a consistency in the way the brand presents and communicates with others. It should all began from the inside, through employees and shareholders to the outside customers. A brand experience does not develop only through interactions on social platforms, press, etc but mainly from the very moment a patient steps into your hospital, to the point when he/she leaves. And hence it makes sense why employees too need to be aware of the brand experience; they are the touch points through whom your customers experience your brand. Therefore a consistent brand architecture is a necessity. 3. Stay observant and be willing to take risks – Modern technology is growing by leaps and bounds and healthcare centers are mushrooming in every corner. Every brand is making innovations to present themselves in the most unique and appealing way to patients; from using the latest surgical equipment to including comfortable in-patient facilities, there is too much happening. Thus marketers need to keep an open eye for these advancements so that they too can upgrade their services. The media and online platforms have a lot of noise and are extremely cluttered. Thus the communications team needs to develop innovative ways to cut through the clutter and stay ahead of the game. It’s all about how good you treat people – Healthcare brands are considered during the most vulnerable times in a person’s life; these brands entirely serve patients. And so they need to at all times prioritize people; both their patients and employees. They should be at the core of your healthcare business. Health care industry is the vast growing industry across the world. No other public service provider can be the best as the Hospital care sector. They have been many sectors adding each day to this industry. Many specializations in the medical field has been the most important reason for this growth. The Health care quality dimensions depends on overall quality health care management, quality measures and the patient safety in the hospital. The growth of the hospital is not only maintained by the Doctors but also the hospital staff and the management plays a key role in providing the quality services to the suffering people. There are vast experiments following in the health care quality management for the high success rates. They every time aim for the complete satisfaction of the patient and their complete cure. They are mainly focused on offering the better advancements in all the fields be it a simple cold or the complex Brain infections. The management striving hard to focus on the goals of providing a complete healing journey with their patient friendly gestures and with the excellence care. The Hospital quality measures helps to maintain the stability in the growing field against many competitors. It is only by achieving the ultimate goal of satisfying the patient through their healing journey. The measures are initiated for the management of emergency cases, running a well-equipped Operation theatres, ICU’s and all the necessary other facilities like Pharmacies, lab investigations, diagnosis centres and scanning centres for the total recovery towards health. Providing all time an efficient, service giving care providers are the real facing issues for the Hospital management which is been handled with great caution and care. Working in a health care sector is truly exhausting as it is concerned with the people who trust us for their recovery and health. The Health care administration department are more strenuous working unit for the welfare of the patient’s health. They emphasize the strict rule and regimes to their staff and working family associates just to ensure the right healthy development of their patients. They believe in friendly patient hospital relationship for the betterment of the patient and the hospital growth too. They are striving hard to provide the well-equipped and well trained staff and caregivers. Although one cannot guarantee the time period for the cure of the patient, it is ensured to give all the possible efforts for the improvement of the patient. The other most important aspect of the hospital management is to provide the patient safety in the Hospital. A lot has happened in the recent years regarding the safety about patient and the guardians in the hospitals. It is also regarding the quality of the service treatment provided to the patient. It is always remembered that the quality of the medicines and treatments helps in the faster recovery of the patient with high satisfaction rates. So in order to eradicate all these “Social Inhuman Diseases” a huge range of initiatives has been taken and are still working for better results. It is called as Social Inhuman Diseases as this is seriously injuring our Indian ethics and Human morals. The hospital management has taken keen measures to ensure the patient’s safety by adopting many recent technical and engineered devices. It takes a large strength and effort to make a hospital and a health care industry run and maintain its dignity. It does not only depends on the Hospital administration but also depends on each and every working staff of the health sector. Being a part of the finest human helping service sector gives a variety of scope for every person working in the industry and the health care. Healthcare is an unavoidable part of human well-being, and so it cannot be ignored at any cost. It is true that medical innovations are happening every day, but there is still a great need for technological advancements to provide medical services to the vast population. Digital marketing has come a long way, and experts have begun leveraging the digital marketing strategies to offer their services and products to the remote parts of India. Digitalization is occurring at a very rapid pace, and there is a boom in the number users of smart technology. How does digital marketing benefit healthcare? The heave in the IT sector has made it possible for the common man to get hold of massive information in the digital world. Every new and established business makes use of this opportunity to reach out to their target audience. This goes the same for the healthcare sector. When there is an abundance of information available online anybody can find a solution for their medical conditions. Hence digital marketing can benefit the healthcare sector in a plethora of ways. For instance, today a significant number of individuals search online to find the best treatment options and expert physicians. Even if the doctor is far away, Telemedicine makes it possible for a patient in the remotest part to get a consultation from a desired doctor. Technology has made it possible for doctors to treat more number of patients in less time. For example, when a patient gets transferred to another care, doctors can exchange medical records and have discussions through electronic devices which is less time consuming. So you see the healthcare consumers in today’s time are digitally empowered. They expect quick and efficient treatment to be delivered to them. Earlier doctors were the sole decision-makers; they decided on the medicine and the treatment. But today it’s a joint decision made by the patient and the doctor. This is due to the fact that they too have access to the right information. They are able to make choices in picking a treatment, a medical procedure or even a medical product. With access to a multitude of doctors and hospitals, end-users are now able to make selections online. How to use digital marketing to reach out to more healthcare consumers? Build Online Visibility - You need to make sure that a consumer finds your brand when they search for hospitals and doctors on search engines. Healthcare providers who employ search engine marketing, ad campaigns and search engine optimization get higher visibility than those who don’t. Social Media Marketing – You might be familiar with “word of mouth” advertising, isn’t it? Social media is the new gen version of “word of mouth” advertising. Healthcare can benefit immensely if they make use of this platform. Social media users are vast, and if your brand or product has an active social media presence, then there is a higher chance of attracting more patients. 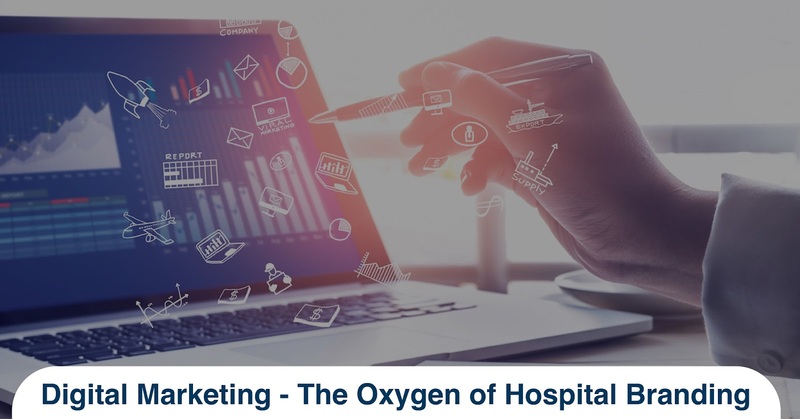 Digital platform is growing by leaps and bounds and it is the right time for healthcare businesses to make use of digital marketing tools to reach out to more customers.